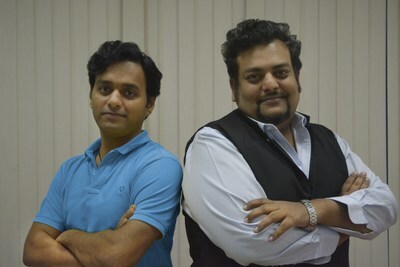 Anuj Gupta and Mohit Agarwal, founders of Adda52.com, owned by Gaussian Networks Pvt. Ltd., invested in edutech startup, iChamp as seed funding. Taking forward their vision to strengthen mental skills through technology and gamification, they have trusted the concept of this startup which is making math fun for children. iChamp is India's first LIVE and real-time gaming edutech platform aimed at improving understanding of concepts of Mathematics by games, quizzes and activities besides continuous practice. Currently, this app is made available for students in CBSE and ICSE Class 1 through 8. It is a multiplayer live test math learning app where the students can compete with peers across India and get an All India ranking along with virtual and physical certificates. Previously, the founders of Gurugram based iChamp, Mohit Bansal and Anil Kumar were the core team members of Adda52. Since then, Bansal has headed many education ventures. On getting seed fund by the founders of Adda52, Mohit Bansal said, "We are delighted to have received investment by Anuj and Mohit. The investment will help iChamp in expanding operations, increasing user base and enhancing product features, thus, benefiting both students and parents." The duo of Adda52 believe in a healthy startup ecosystem and being entrepreneurs themselves, they encourage other growing entrepreneurs who are working on ground breaking concepts. The founders of Adda52 said, "Data shows that young children are willing to practice their sums a lot more on the iChamp app because of the interesting competition formats that they have introduced. It is so heartening to see Adda52 alumni create such innovative concepts." With in-depth understanding of the technology-intensive gaming industry through their own company Adda52, Anuj and Mohit recognize technology and gamification as the future of education and other industries as well. Moreover, Adda52 itself is a platform that offers mind stimulating game like poker, so it is natural for the founders to realise the potential of upcoming start-ups which are exploring similar concepts.